The system would also include a smart medicine cabinet that could dispense more than 100 medications. In China a future trip to the doctor's could mean visiting a local mall and dipping into an AI-power booth. 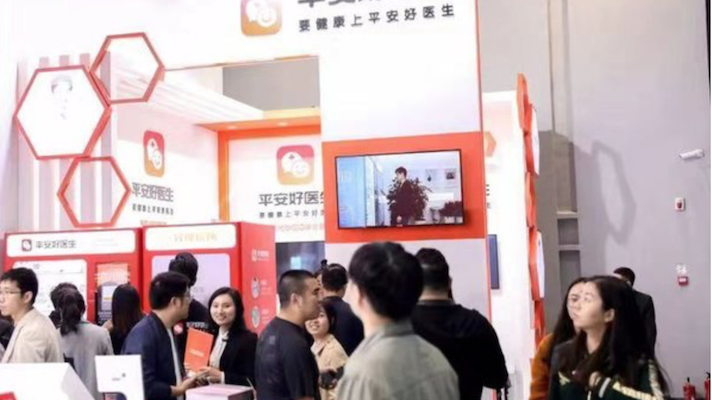 Earlier this month Ping An Good Doctor, a one-stop healthcare ecosystem platform, showcased a tiny unstaffed clinic that employs artificial intelligence. Patients can sit in the three-square meter clinic and chat with a cloud doctor, called AI Doctor, about their symptoms. The AI Doctor’s role is to gather medical history and come up with a diagnosis plan, which will then be passed on to a specialist consultant via telemedicine. The miniature clinics, called “One-Minute Clinics” can then connect patients with a clinician on Ping An Good Doctor’s in-house medical team. The system will also include a smart medicine cabinent where patients can get their medication after getting a diagnosis. It will include upwards of 100 common medications. “We plan to build hundreds of thousands of these unstaffed clinics across the country in three years,” Wang Tao, founder and CEO of Ping An Good Doctor, told South China Morning Post. The clinics have already been piloted in the Wuzhen Scenic Area outside of Shanghai. According to a press release, the virtual clinics could be anywhere from pharmacies to school and shopping malls to highway service stations. It’s no secret that China is facing a shortage of doctors. According to the World Health Organization, China has 1.8 doctors for every 1,000 people, compared to 2.5 per 1,000 in the US and 3.4 per every 1,000 in Australia. While China is not alone in this shortage, neighboring India has less than one doctor per 1,000 people, the Chinese government has set health as a priority in the country. In 2016 the Chinese government has kicked off Healthy China 2030, the country’s first long term strategic health plan since 1949. This means there is now a government mandate that makes healthcare policy a priority. Many are turning to digital health and artificial intelligence to fill the gap. Technologies such as the “One-Minute Clinics” could expand the number of people treated. Ping An has been growing its influence across Asia. Earlier this month Ping An Good Doctor announced a Memorandum of Understanding with Bangkok Dusit Medical Service, the largest healthcare network in Thailand. The MoU outlines how the two companies will integrate and exchange their experienced medical resources online and offline. The company has also been raking in money for its IPO offering. According to Reuters, Ping An Good Doctor has raised 1.1 billion in its IPO in Hong Kong in April this year.